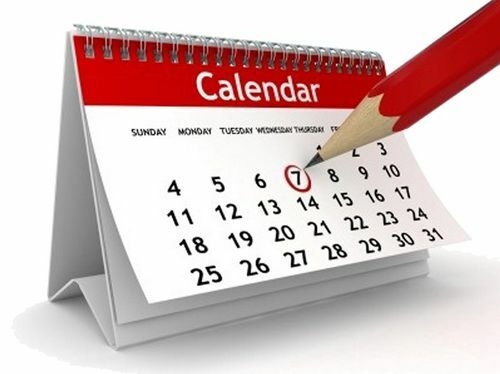 Here is just a quick list of some upcoming events in the Walsall, West Midlands and Burntwood / Lichfield, South Staffordshire Between May and August 2014. These events we have been too in previous years and really enjoyed some great family days out, see the links by the side of the events for articles wrote for the previous years event. Lichfield Bower – Bank Holiday Monday 26th May. Nice parade going trough the city centre and loads to do in beacon park, though to get into beacon park you will need a wrist band at £3 each, events where in the main arena from 12.30pm we will have the Company of Horsemen performing a Wild West Show, Big Pete Monster the world’s only real monster truck at 16ft tall and 12ft wide, weighing 7.5 tons, jumping 15ft in the air is an impressive sight, crushing anything in it’s path! Back by popular demand are Broke Freestyle MotorX entertaining the crowds once more with their heart stopping stunts! Bower favorites including the Pat Collins Fun Fair, a fantastic petting Zoo, Polly Parrot road show, water spheres, quad bikes, paintball and Armitage Bird of Prey Centre are set to make the day a day to remember. See HERE for visit to the 2011 Lichfield Bower. Brownhills Canal Festival – Sunday 29th June. The annual Brownhills canal festival is mainly on silver street on the canal walkway, with stalls, crafts, narrow boats and loads more. Great time for a family visit. Pelsall Carnival – Saturday 5th July. Pelsall Carnival is a great event with the parade going through the main town, there are stalls, activities around the common, the main arena has all different shows going on. There is also the market and carboot, fair rides etc. Great day out for all the family. See HERE for visit to 2011 carnival and HERE for the 2012 Carnival. Cars in the park, Lichfield – Saturday 5th July & Sunday 6th July. Great event in beacon park Lichfield, Entry is Free according to the official website, though in previous years there was a charge for parking on the site. as the name suggests their are loads of cars on display in the park, in previous years there have been some great examples of classic vehicles and modified modern cars etc. there is also different shows that go on through out the weekend. On previous visits over the years we have always enjoyed this event, so a nice day out. See HERE for our visit to the 2011 event. Lichfield Fuse Festival – Friday 11th July till Sunday 13th July. This annual local music festival for all the family by Lichfeild Arts, the main marque are within beacon park, which there are three, entry is free, with also things going on in and around the city centre. in the three entertainment marquees and performances from local favourites including The Tom Woodman Band, Dean James, The Kate Gee Band, King Edwards School Orchestra, Wildfire Folk and a whole lot more. We went a few years ago on one of the days as we really did enjoy it. Burntwood Wakes Festival – Saturday 19th July & Sunday 20th July. This is one of my favorite annual events, At Burntwood Rugby Club, on the Saturday is the family funday, entry is free, though small charge for car parking at Chase academy school. always loads going on throughout the day in the main arena. loads of stalls and craft activities. The funday is from 12 noon till around 5pm. On the evening there are bands on within the music arena stage. On the Sunday evening is a mini proms, with great firework display at the end. See HERE for details of our visit to the 2013 festival. Bloxwich Carnival – Saturday 2nd August. This is a event we haven’t been to but sounds great with loads to do for all the family, will visit this year and hopefully will be a nice day out. Walsall Show – Saturday 9th August & Sunday 10th August. The annual Walsall show is in the arboretum, their is a charge to get in with show in the main arena with stall around with loads to see and do and the main attraction is Pat Collins Funfair, Charges do apply to all rides. Nice family day out, see HERE for our visit to the 2010 town show. This is just a quick list of the main local events going on, if you run a event and want me to include in this list please get in touch , also anyone reading know of any other events in the Walsall or Lichfield area please drop me a email with details so can share the event. Or add comment below to let everyone know, as they say spread the word. Also remember car boot season is in full flow now, here are some of my favorites. Muckley Corner, Hall lane, every Sunday, parking 50p. Barracks Lane, every Saturday, parking 80p. Curborough, Wood end lane, free parking, one of my favorite carboots great for bargains and selling. Shareshill Cannock road / Dark lane, every Sunday, two sites one for morning and one for afternoon, this can be a large one to walk all the way around.